Western Australia’s diversifying economy and changing industry needs require a labour force that is skilled, versatile and highly competitive. Established in 2009, WA’s Department of Training and Workforce Development provides leadership in training and workforce development to drive a responsive, flexible and quality training system to meet the needs of industry and build a strong and successful future for our community. Our vision is that all Western Australians can be part of a skilled workforce to meet the State’s economic and community needs. We work closely with industry, government and the community across Western Australia to support and facilitate training and workforce development strategies that will build, attract and retain a skilled workforce for now and into the future. governing the Department’s services and performance systems to ensure they are client centred, of the highest quality and managed in an open, transparent and accountable manner. Our current business operations are driven and informed by the following. Our strategic plan focuses on five goals that articulate the vision and standards we aim to achieve. Developed by the WA State Training Board, the State Training Plan 2018–2021 identifies the current and future training and skill development needs of WA's industries, and contains strategies that will contribute to achieving the State Government’s major goals and visions for the economy and labour market. Our new Disability access and inclusion plan demonstrates the Department's commitment to support and assist the State's workforce and vocational education and training sector to be more accessible, particularly for people with disability. As an employer, we are committed to growing and developing our Aboriginal employees. Our Aboriginal employment strategy 2019 supports our vision for reconciliation, and reflects the Public Sector Commission’s key priorities to attract Aboriginal people to work for the Department, appoint Aboriginal people to positions commensurate with their skills and expertise, advance the careers of Aboriginal employees, and develop Aboriginal leaders. The Department embraces the spirit of reconciliation and plays a key role in helping Aboriginal people in our community acquire skills, qualifications and employment. Our new Reconciliation action plan 2017–2019, launched on 1 June 2017, strengthens our commitment to celebrating Aboriginal culture and heritage and creating greater opportunities for Aboriginal people including our staff, clients and partners. The report offers transparency, accountability, and compliance with legislative and government policy requirements, focuses on key areas of achievement and describes the functions, operations and performance highlights of the Department over the period. supporting the State Government's Plan for Jobs. We welcome your feedback on the Annual report 2017–18. Please use our feedback form, which you can email in to us once completed. Responsible to the Minister for Education and Training and led by the Director General, Anne Driscoll, the Department comprises four directorates. Each directorate has a key role to play in all aspects of the Department’s core business, from strategic planning and policy development through to operational functions and programs and services to build and support WA’s workforce. Our organisational structure is outlined in the following diagram. The Service Resource Management directorate purchases training and other services from TAFE colleges, private training providers and community organisations. The directorate also develops and manages WA’s training infrastructure and develops governance processes to support TAFE colleges. The Corporate directorate is responsible for establishing, maintaining and monitoring the Department's governance structures, and providing corporate oversight and administration of the Department's financial, physical and information and communications technology resources. The Policy, Planning and Innovation directorate determines how the Department's funding will be allocated. Working with industry, training providers, the WA community and government at all levels, the directorate also coordinates the State's response to local needs and national initiatives. The Service Delivery directorate leads areas that deliver services directly to the WA community. This includes the Apprenticeship Office, Migration Services, TAFE International WA and Training Sector Services. The Department of Training and Workforce Development is building the workforce to meet the economic and community needs of Western Australia. We are a medium sized public sector agency leading and working across many areas of Western Australia’s training and workforce development landscape. Our work requires dedicated staff behind the scenes to develop and drive the training and workforce development initiatives, strategies and plans that support the State’s economic and community needs. Our workforce of over 440 people enjoys the challenges and benefits of working in this diverse and ever-changing area. The Department embraces diversity and encourages applications from Aboriginal and Torres Strait Islander people, young people and people with disability, and support these groups of employees through the following programs and initiatives. 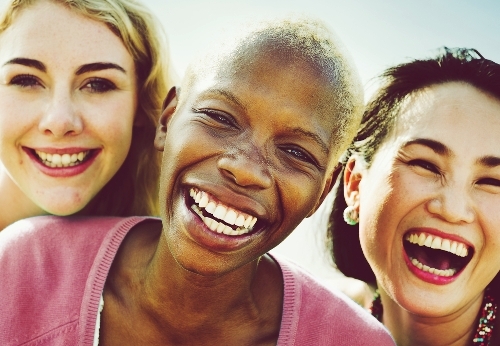 The Department ensures substantive equality is integrated into our workplaces and across the services we provide. This will be achieved through eliminating systemic discrimination in the provision of services and promoting sensitivity to the different needs of client groups. access to a range of health and wellbeing initiatives including an employee assistance program and flu vaccinations. If you have experience or have an interest in working in the training and workforce development area of the public sector, the Department could offer you a rewarding, worthwhile career. You can keep track of the positions available across the Department on the WA Government jobs board at jobs.wa.gov.au. Media statements released by the Minister for Training and Workforce Development can be found on the State Government’s news website at news.wa.gov.au. 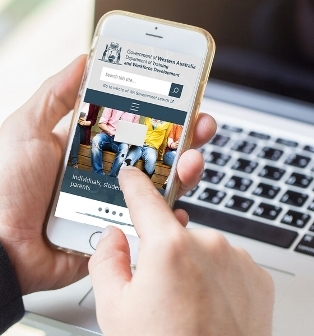 You can also search all ministerial media releases for items relating to training and workforce development by using the search function on the State Government’s media statement’s website. For all media enquiries, please contact the Department’s Communications and Marketing team via email at media@dtwd.wa.gov.au and we will respond to your enquiry as soon as possible. To view our current and archived news stories, please visit the What's new section of our website. The Department of Training and Workforce Development manages the State Government’s investment in vocational education and training and builds the Western Australian workforce for the future. This work is carried out across the sector in accordance with relevant legislation and our own policy framework developed through stakeholder engagement and consultation. allow for the operation of an open and competitive training market in this State. The Act, under Part 5, also prescribes the establishment and functions of WA’s TAFE colleges, and under Part 7 the obtaining of VET qualifications including the registration and administration of training contracts for the apprenticeship and traineeship system in Western Australia. You can view the full VET Act document online. You can view both of these Regulations online. Under the Vocational Education and Training Act 1996, the following bodies have been established. The State Training Board (the Board) is a statutory body established by Part 3 of the Vocational Education and Training Act 1996, and is the peak industry training advisory body to the Minister for Training and Workforce Development in Western Australia. The Board comprises members appointed by the Minister for their industry expertise and their ability to make a high level contribution to the strategic direction of the State's vocational education and training system. A key function of the Board includes the preparation of the State Training Plan that provides a four year outlook into Western Australia’s skills needs and priorities. For more information, please visit the WA State Training Board website at stb.wa.gov.au. Under section 21(1)(b) of the Vocational Education and Training Act 1996 the State Training Board recognises various industry training advisory bodies from which the Board takes advice for the purpose of drafting a State Training Plan or making recommendations to the Minister on apprenticeships and traineeships. the WA Local Government Association (WALGA) for advice on Local Government Administration. A full list of WA ITCs is available on the WA State Training Board website. accreditation of VET courses under the Australian Quality Training Framework (AQTF). For more information, please visit the TAC website at tac.wa.gov.au. The following policy documents relate to the Department’s role as Western Australia’s State Training Authority, with responsibility for administering the State’s VET system. This involves managing the investment of public resources to provide a quality training system. This document outlines the requirements associated with the commencement, registration, variation and completion of the training contract for apprenticeships and traineeships and provides support in the interpretation of the Vocational Education and Training Act 1996 and the Vocational Education and Training (General) Regulations 2009 . This policy contains information relating to school-based apprenticeships and traineeships, trade skills recognition (TSR), trade certificates, and travel and accommodation allowance (TAA) for apprentices and trainees. This policy establishes the complaints management process for the Department for complaints made by external clients, members of the public and other government agencies. The policy conforms with the relevant Australian Standard and Public Sector requirements. From 1 April 2019, the Priority Start policy will replace the Government building training (GBT) policy. Those contracted under the GBT policy will have the option to transition to the Priority Start policy from 1 July 2019, once their 2018–19 reporting obligations have been fulfilled. No new tenders or contracts should include clauses relating to the GBT policy. The following resources are still available to assist contractors and State Government agencies with contracts reporting under GBT policy. If you require any further assistance, please contact the GBT policy officer on 08 6551 5607 during business hours, or email policy.gbt@dtwd.wa.gov.au. The Department of Training and Workforce Development is committed to the use of competent interpreters and translators to provide a service to those unable to communicate through written and spoken English. This policy ensures that the rights of Western Australians who are unable to communicate effectively in spoken or written English to access Government funded services are not compromised by this inability. The Priority Start policy came into effect in WA on 1 April 2019, replacing the previous Government building training policy (GBT), and applies to State Government building, construction and maintenance contracts resulting from tenders released from 1 April 2019. Under the policy, all head contractors awarded State Government building, construction, civil construction and maintenance contracts valued over $5 million must meet the industry's average target training rate for apprentices and trainees. As of November 2018, the School-based apprenticeship and traineeship policy is now incorporated into the Apprenticeship and traineeship policy. This policy outlines the sponsorship principles and procedures to be followed as part of all sponsorship arrangements; both providing and receiving, and prior to any binding commitment given by the Department of Training and Workforce Development or TAFE college. This policy outlines the framework for admission to publicly funded VET award qualifications at TAFE colleges. It contains detailed information on the processes applied by TAFE Admissions to select prospective students for places in full time courses and by TAFE colleges to select students in part time qualifications. TAFE colleges in Western Australia owe a duty of care to minors participating in college programs to take reasonable care for their health and safety, as outlined in this policy. This duty extends to staff including lecturers, and exists whether students are on college premises or engaged in off campus activities such as an excursion. As of November 2018, the Trade certificate policy is now incorporated into the Apprenticeship and traineeship policy. As of November 2018, the Trade skills recognition policy is now incorporated into the Apprenticeship and traineeship policy. As of November 2018, the Travel and accommodation allowance policy is now incorporated into the Apprenticeship and traineeship policy. This policy outlines the procedures governing the administration of fees and charges by registered training providers who deliver vocational education and training funded by the Western Australian Department of Training and Workforce Development. 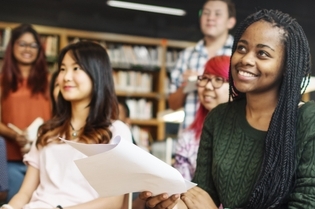 This policy outlines the eligibility of enrolled school students to access funding for approved courses listed in the list of VET courses funded for delivery to secondary students. Through TAA, the Department assists apprentices and trainees with travel and accommodation related to the completion of their off the job training component. Assistance is also available to lecturers and employers whose travel and accommodation arrangements meet the requirements of the policy. Full information about TAA is available in the Apprenticeship and traineeship policy, available under the Policy section of this page. The following must be used for all TAA claims. Freedom of Information (FOI) gives the public a right to access government documents, subject to some limitations. The Department's Information statement (updated November 2018) outlines our commitment to the Freedom of Information process and explains the procedures for obtaining access to information. The Freedom of Information Process document explains how the FOI process works and what’s involved. You can also find out more about the FOI Act by visiting the WA Office of the Information Commissioner’s website. For further information, please contact the Department's FOI coordinator via email to foi.coordinator@dtwd.wa.gov.au. For enquiries, feedback or complaints please use our online form available here. The Apprenticeship Office registers and administers training contracts, and regulates the apprenticeship system in Western Australia. Email apprenticeshipoffice@dtwd.wa.gov.au or use our online enquiry form. The Migration Services team provides a settlement information and referral service for skilled migrants, including overseas qualification assessments for Western Australian residents. The Migration Services team is located at 1 Prospect Place, West Perth. Muresk Institute is dedicated to supporting the growth of a skilled rural workforce. 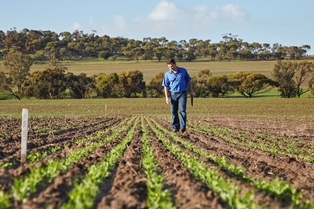 With a focus on the agriculture, agribusiness, health and mining industries, Muresk Institute is an education and training facility that aims to improve rural productivity, build capacity and attract and retain a skilled rural workforce in Western Australia. Muresk Institute is located on Muresk Road, approximately 10km southwest of Northam. The TIWA team is located at the East Perth TAFE campus – Building B, Level 2, 140 Royal St East Perth. Use the online enquiry form available on our website. The Department welcomes your enquiries, and we want to hear what you have to say. Your feedback helps us understand more about what’s important to our clients and stakeholders, and your complaints let us know where there’s something we need to improve. Please use our online enquiry form and we will make sure your enquiry is handled as quickly as possible, so that we can get back to you with the information you’re looking for. We appreciate knowing when our clients are happy, and like to recognise and acknowledge a job well done. We will be sure to forward your compliment on to the right area. We also appreciate your feedback for improvement. Please use our online feedback form. We believe in continuous improvement, and we aim to deliver services that benefit the Western Australian community. We invite you to let us know if there’s a situation or an issue that you’re not happy about, or if you feel we need to improve our service in some way. In accordance with our Complaints management policy; we will respond via the contact details you provide with a formal acknowledgement of your complaint within two business days, and an update or resolution within ten business days. Please read our privacy guidelines for information on how the Department manages information you provide.